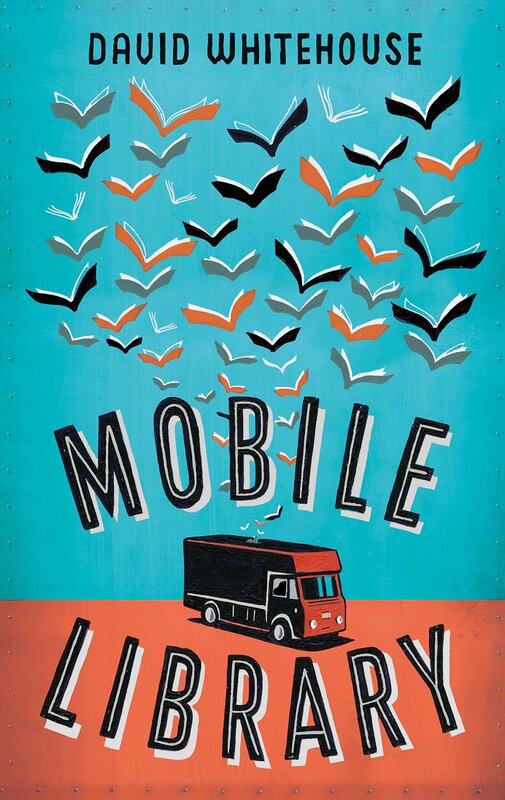 Stuffed with book and movie references – from The Lion, The Witch and the Wardrobe to The Terminator – if Mobile Library by David Whitehouse was a film it would be described as a ‘road movie’. Really, it’s a book about running away to find yourself. Chapter One, titled ‘The End’ is reminiscent of Thelma and Louise and The Italian Job. A mobile library van stands at the edge of cliffs, surrounded by police. Inside are Bobby, Rosa and Val. We don’t know who they are or why they are there: such an incentive to keep reading. Twelve year-old Bobby lives with his father and his father’s girlfriend Cindy, a mobile hairdresser who paints a look of suspicion onto her face every morning with her foundation. Bobby misses his mother and saves anything of hers he can find: hairs from her hairbrush, scraps of paper. When his schoolfriend, Sunny, offers to protect Bobby from the bullies by turning into a cyborg like The Terminator, neither of them realize what that really entails. Bones are broken, blood is spilled, until Phase Three when Sunny ends up in hospital and disappears. Bobby, alone, passes the time by peeling wallpaper off his bedroom walls. When he meets Rosa and her mother, he finds a place that feels more like a home should be. When things go wrong, the trio run away in the library van and have adventures along the way [as is the way of road movies]. Lessons are learned about love, life and family. They have an objective: to find Sonny. Bobby reads books from the library – Tom Sawyer, Of Mice and Men – takes a lesson from the story and applies it to his situation. This is a funny, touching story, its message is that family is where you make it. Anyone who loves books will love this story, it is a book with heart.